Taking challenges in life is adventurous, but I feel scared when my skin is the centered for a challenge. 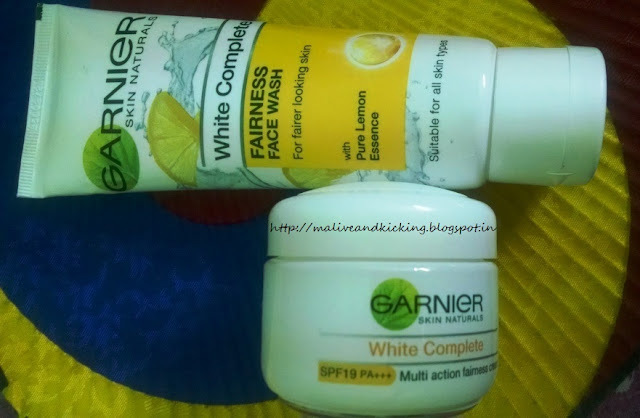 Few days ago, I was selected by Garnier India for their #7DayGarnierChallenge to test and review a combo of Garnier White Complete Fairness Face Wash & Cream. 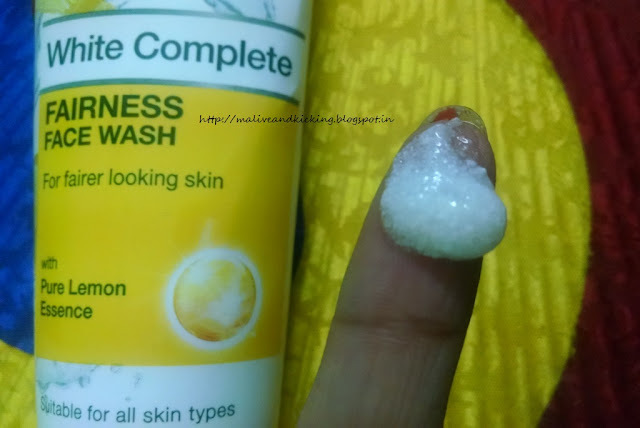 How did Garnier White Complete Fairness Face Wash fare? Fighting with pollutants, harmful sun rays, dirt and grime is the harsh reality with each of us. These environmental factors make it mandatory for us to use a mild formulation to cleanse our skin for flaunting clean n clear toned skin. 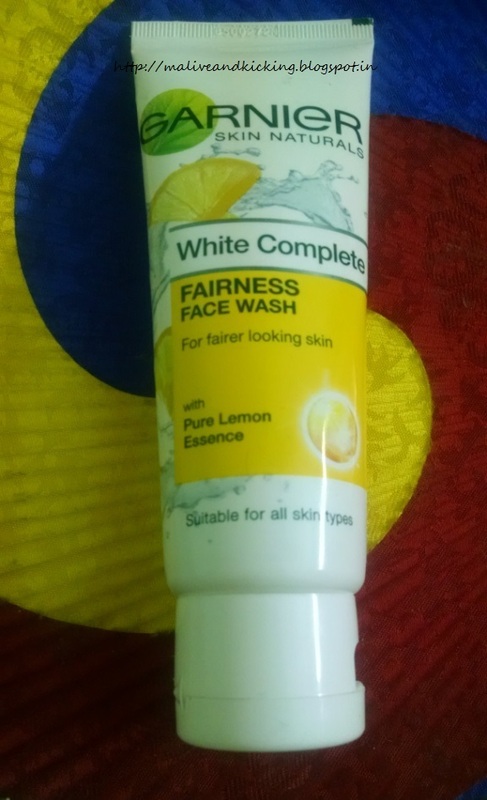 Garnier White Complete Fairness Face Wash is enriched with pure lemon extracts that effectively exfoliate the skin with daily usage. Its quite a soft textured face wash that resembles with homemade pure ghee to look at. I may clearly notice minor molecules in the facewash that dissolve when rubbed on wet facial skin. The facewash is not a foamy product like many others and behaves too creamy n gentle to skin on application. In return, it becomes easy to rinse it off with few splashes of water on your face. I experience an uplifting lemony fragrance post usage that is not strong for sensitive noses. Till the last day of my challenge, I found no signal of overdrying or damage to my skin. The cleanser absorbs dirt, oil and other impurities & removes them during rinsing. The skin feels radiant and one tone fairer, but it is not the permanent fairness in my case. Still I am quite happy with the product since it didn't remove the good oils that my skin produces and gave me no stretchy feeling. 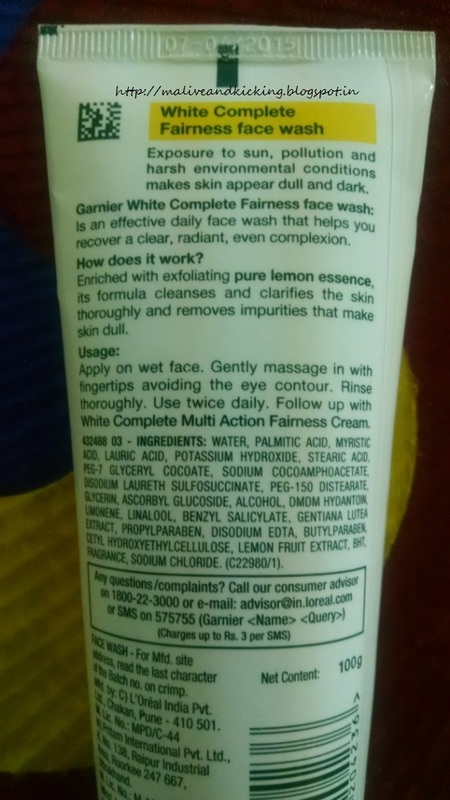 But being on a drier skin type, I have been religiously applying the Multi-Action Fairness Cream by Garnier after every use of this face wash to wear a layer of moisturization. Product Price: Rs. 145 for 100 gm pack. How did Garnier White Complete Multi Action Fairness Cream fare? 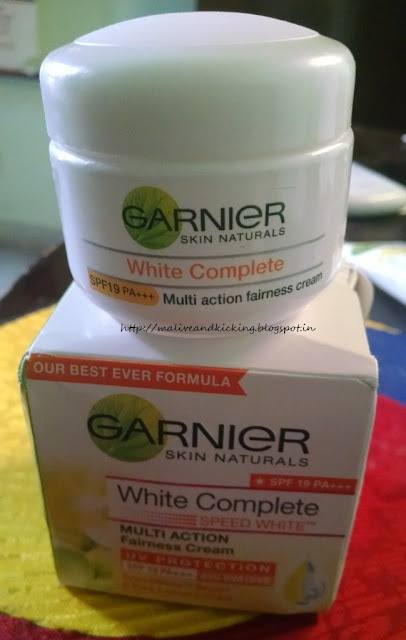 Garnier White Complete Fairness Cream claims to be multi action that offers a nice glow to skin by providing instant whitening, protecting the skin from UVA and UVB sun rays and resulting in long lasting fairness with regular usage. This multi action cream is infused with pure and natural lemon essence, a blend of actives known as Speed White Serum and UV filters. This promising combination of ingredients addresses the skin needs and works miraculous. I liked the cute sized packaging that is easily grasped within your palm and is light weight too. During the challenge period, I didn't use any other face cream/lotion or moisturizer to evaluate the performance of the product. 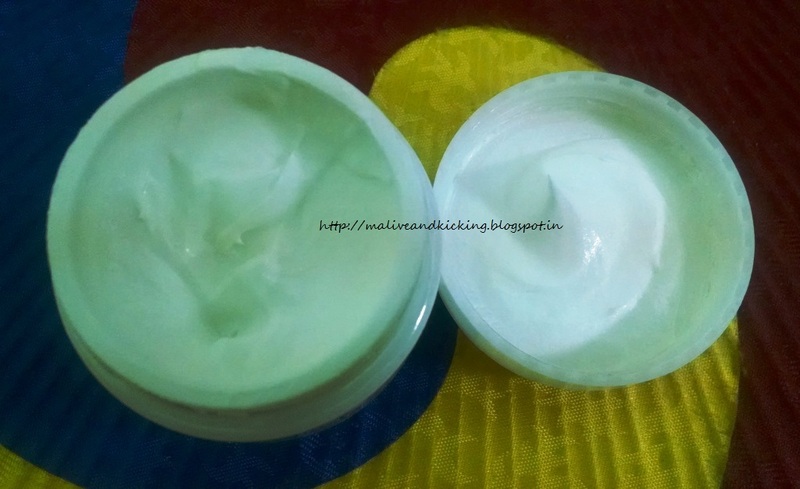 The cream gets absorbed in no time and doesn't sit on the top layer of the skin. It doesn't smell of lemons as I expected, but has a good perfume. Talking fairly about its effect, the cream boosts the intake of oxygen by the skin when you gently massage it on your face in circular movement. The skin feels like getting the required supply of nutrients for itself. There is no greasy or oily feel post application, rather it is somewhat matte in texture. It would be more appreciated by oily skinned people. The outer carton of the cream packaging comes with a fairness scale card that lets you measure the change in your skin tone. 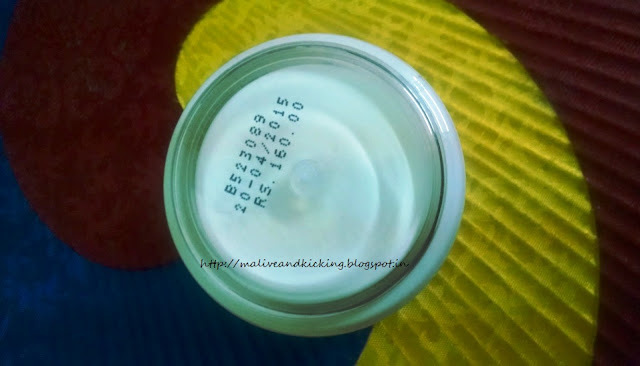 The brand claims to get the three tone fairer skin after prolonged use. I am not a believer in fairness claims honestly, but this product can give your face lift for the time being. Product Price: Rs. 160 for 40 gm pack. 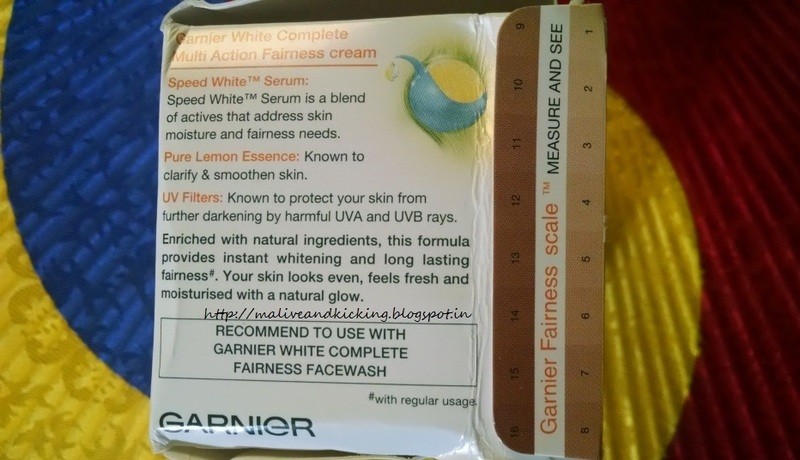 Now comes the fun part of the post... each of my lovely readers can claim a FREE SAMPLE PACK of Garnier White Complete Fairness Cream by filling this quick form. Don't forget to share your experience after using the product for a week with #7DayGarnierChallenge and at the end of the campaign, the brand will pick a lucky winner on the basis of your review who will win a Gift Hamper directly from the brand :) yeyy!! ha ha. wud do it if required in other posts. Thanks for your love. The facewash n cream both work gud to skin.